MEDFORD THIS FALL, MVTHS TO OFFER ADULT COURSES! 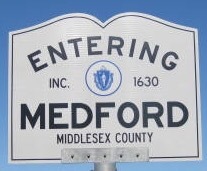 This fall, the Medford Vocational Technical High School (MVTHS) will be offering adult courses, certificates and/or licensing in the following areas of study: Automotive Repair, Introduction to Web Development, Emergency Medical Responder, Electrical I, II & III, Cosmetology Refresher, Cosmetology Licensing, Nail Technician Licensing, OSHA 10-hour Construction Safety, ServSafe Sanitation, ServSafe Alcohol, Basic Welding, and Artistic Welding. Also in the Fall, MVTHS plans to offer an EMT Certification Course. For further information, please refer to the Medford Public Schools website http://www.medfordtechinstitute.net or contact the MVTHS Office at (781) 393-2207.